For many brand marketers, there may be no bigger event than the Super Bowl, when practically all of America gathers around their TVs to watch not only the biggest football event of the year, but the boldest commercials that people will be buzzing about for weeks after the game is over. While Madison Avenue may get a lot of attention, it’s not just the TV marketing that’s on fire during Super Bowl season. Live interactions with fans this year were just as hot, too, from outside Cowboys Stadium and around the city of Dallas to the 10-day NFL Experience—an 850,000-square-foot fan zone dedicated to sponsor activations in the game’s host city every year. We bring you the commercial-free highlights. Maxim magazine can sure throw a party. During the Super Bowl it celebrated the game Texas-style with The Maxim Party State Fair powered by Motorola Xoom on Feb. 5 at Centennial Hall at Fair Park (home of the annual Texas State Fair). The party was peppered with fair-themed activations on the midway sponsored by participating brands like Patron tequila and AOL. “The Super Bowl is the biggest event that we do in the year,” says Amanda Civitello, corporate event director at Maxim. “The goal is to do something really great that integrates our sponsors and generates press impressions.” The event was invite-only with a guest list made up of local tastemakers and influencers in the nightlife scene, as well as celebrities, their friends and their entourages… and lots of Maxim girls (naturally). Guests could enjoy fair food, such as funnel cakes, hot dogs, deep fried Oreos provided by Food Glorious Food and cocktails by Patron, including the night’s signature drink, the “Big Tex” margarita made with Agave and cotton candy. On the midway, Patron sponsored a ring toss game using its own bottles, and Motorola Xoom sponsored bumper cars and a Ferris wheel. To target celebrities, Motorola brought in its spokesperson, NFL star and social media sportscaster Chad Ochocinco, who interviewed celebrities for his news network, OCNN (ochocinco.com), and engaged them with Motorola Xoom products. AOL also generated online content by partnering with the Dallas Cowboys cheerleaders who were its on-the-ground correspondents for the night. AOL Artists, who designed footballs for the Super Bowl to be auctioned off for charity, were also at the event displaying their work. To drive tune-in and generate excitement for its tenth season, FOX and “American Idol” launched a 16-city Idol Across America tour. The tour kicked off on Jan. 19, and traveled in a wrapped bio-diesel motor coach covered in images of this year’s judges, who include Jennifer Lopez, Steven Tyler, Randy Jackson and host Ryan Seacrest. 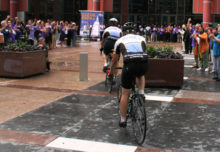 The tour ran through Feb. 26 and took all of its singing action to Cowboys Stadium on Feb. 6 in celebration of Super Bowl XLV. Inside the bus, the space was lit with the show’s signature white and blue colors and its backlit American Idol logo. Guests were greeted by brand ambassadors who took them through a Hard Rock Café-style environment peppered with memorabilia from the show. The experience started in a picture gallery featuring the faces of past “Idol” winners and featured items on display including David Cook’s guitar, Ryan Seacrest’s suit, Randy Jackson’s Gucci boots and the Coca-Cola branded cups the judges drink from during the show. There were also three monitors on the walls showing an “Idol” documentary about the show’s 10 years on FOX. In the back of the bus, fans waited for their turn among a collection of past “Idol” winners’ platinum records to go inside a green room where guests 15 years or older recorded their version of the introduction, “This is American Idol” that Ryan Seacrest made famous. Brand ambassadors captured the action on a Flip camera and participants were entered into a nationwide contest for a chance to win a trip to Hollywood where they’ll be able to do the introduction on stage with Seacrest. 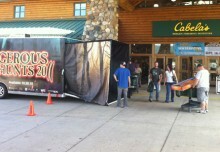 Outside the bus, visitors could engage with the Idol Across America “neighborhood” where two 10-foot by 10-foot branded tents housed a karaoke interaction and a photo opportunity in which fans could pose for a photo with a backdrop image of Ryan, Steven, Jennifer and Randy at the judges’ table and then upload the photos to their social networking sites (Agency: Yardstick Partners, New York City). In partnership with the NFL Network, the DIY Network activated for the first time at the NFL Experience. Its consumer experience revolved around the unveiling of a wax statue of Tony “The Goose” Siragusa, former NFL star and host of DIY’s “Man Caves,” for Madame Tussaud’s wax museum. Leading up to the unveiling of the statue on the entertainment stage of the NFL Experience, DIY lured fans into its 20-foot space with a cardboard cut-out of Siragusa teasing that something big was on the way. On Feb. 3 at 8 a.m., they unveiled the statue with Siragusa on stage answering questions about the process of having a wax statue made of him. Siragusa stuck around for photos and autographs with fans. Afterwards, the statue was moved into DIY’s booth on a red carpet so people could take pictures with it through Super Bowl Sunday. Also in the space, fans could take photos in front of a “Man Caves” step and repeat as well as check out video content from the show, including interviews with Siragusa about the wax statue, running on a loop. The brand also gave away branded koozies to keep the icy cold beer selling at the NFL Experience refreshed. “As a TV network it can be challenging to have consumers interact with our brand on a personal level, so large-scale events like the NFL Experience offer us such an amazing environment and opportunity to really reach the consumer on a personal level,” says Shannon Jamieson Driver, vp-marketing at DIY. GMC, the official vehicle of the NFL, tapped into the excitement around this year’s Super Bowl to expose its full line of vehicles to fans through engaging experiences at both the pre-game NFL Experience fan festival and on game day at Cowboys Stadium in Dallas. 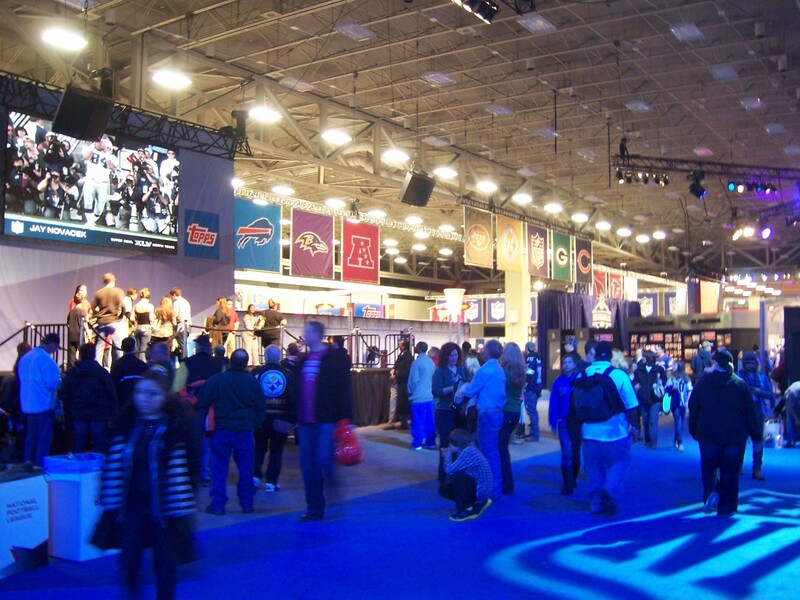 At the brand’s 150-foot by 20-foot NFL Experience activation, fans not only chatted with product specialists and checked out vehicles on display, they also participated in the You Call the Play video activation that allowed them to call one of four NFL “Never Say Never” moments of the year. Once on stage, they put on their sportscaster headphones and stepped up to a microphone in front of a camera. Then, a pre-recording of sportscaster Phil Simms kicked off the announcement and then shot it over to the fan that then called the play by following a script on a teleprompter. The videos were instantly emailed to the consumers to pass along online. Fans were also treated to player appearances every hour. 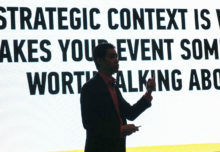 Outside the stadium on game day, GMC set up a 150-foot by 75-foot experience with signage and vehicles on display, and also collected consumer data in exchange for a branded photo with popular sportscasters and the stadium in the backdrop. “As the official vehicle of the NFL, GMC leveraged the Super Bowl to engage these fans with our products in a no-pressure atmosphere,” says Chris Hornberger, GMC national sales promotion manager. “It was an opportunity for us to expose these NFL fans to our great hybrids and new crossovers, because even though Dallas is a great truck market for GMC, we have a lot more than ‘big’ trucks to offer” (Agency: Intersport, Chicago). To connect with Dallas tastemakers, influencers and sports and entertainment celebrities, vodka brand Grey Goose hosted a series of lounge events during Super Bowl weekend with a different host each night. On Feb. 3, the Grey Goose Lounge was hosted by NFL star Terrell Owens who took photos with fans and signed autographs. Other celebrities that night included actors Dave Annable and Amy Smart, as well as HGTV’s Carter Oosterhouse. The following night, singer Erykah Badu was the host and dj. On Feb. 5, “Entourage” star Adrian Grenier hosted the party and signed bottles of Grey Goose to be auctioned off to benefit the Adrian Peterson Foundation. Staying within the NFL theme, New Orleans Saints running back Reggie Bush also joined the party that night. On Game Day, Grey Goose featured a day-to-night viewing party of the Packers vs. Steelers showdown, and provided fans with rivaling cocktails: the Grey Goose L’Orange Pittsburgh Rush and Grey Goose La Poire Green Bay Glory. After the Super Bowl, Adrian Peterson joined the party (Agency: Javelin, St. Louis, MO).